Pune is a land of museums. Not only Pune, you can also see museums anywhere in the world. Pune city is one among the beautiful cities of India located in Maharashtra state, India. Among the different types of museums present in Pune, I have already mentioned about the National War Museum located there. But this article gives you information regarding the Raja Kelkar Museum located in Pune city, Maharashtra state, India. The founder of Raja Kelkar Museum is Padmashree Late Dr Dinkar G Kelkar. He constructed this museum in memory of his only son Raja, who had a tragic death. Dr kelkar traveled extensively across India and collected rare items. 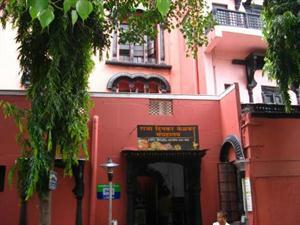 The correct location of Raja Kelkar Museum Pune is at Bajirao Road, Shukrawar Peth. 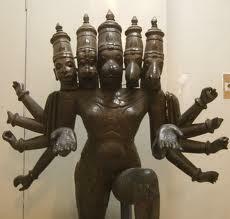 The museum will be closed on 26th January, 15th August and Anant Chaturdashi. While the other members of board of management of Raja Dinkar Kelkar Museum are Surendra Hari Ranade, Sudarshan Hari Ranade, Sanjiv Anant Sathe, Smt Rekha Hari Ranade, Dr G. B. Deglurkar, vice-chancellor(university of Pune), secretary(tourism and cultural, Maharashtra government), commissioner(Pune municipal commissioner) and Sudhanva Hari Ranade respectively. They charged us Rs 350 saying entry was Rs 50 per head this Sunday.